Brown the ground beef in a skillet over medium heat, breaking it up into pieces with a wooden spoon. Add the packet of taco seasoning and stir until well coated. Set aside. 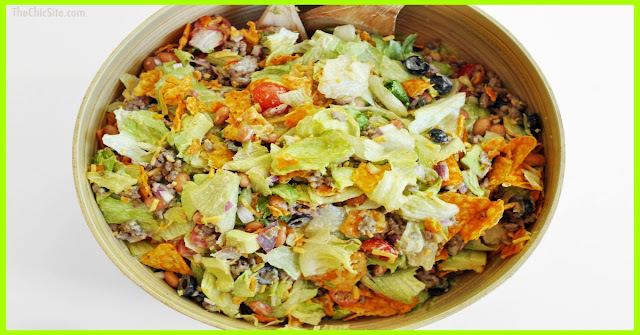 In a large serving bowl, combine the lettuce, tomatoes, cheese and ground beef. When ready to serve, add the Doritos and dressing and toss to coat.